Fancy Feast gourmet cat food is the perfect way to show your love. 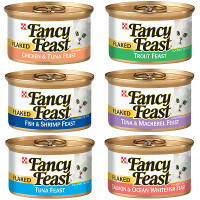 Fancy Feast's tantalizing wet cat food and delicious dry cat food delight cat's with even the most discerning palates. Is it love? Or is it Fancy Feast. My cats love this cat food.